Check out the new retail shops on offer at Bryce's Arcade in Gordonvale. An inspired collective of shopkeepers, café owners and craft makers are creating a retail renaissance in Gordonvale, and you’re invited to meet and greet them at a special event tonight. Called "Sip and See", this evening's event is designed to celebrate the diverse businesses in the Gordonvale CBD. After years of declining economic fortunes, Gordonvale is emerging as a centre of retail activity, initially fuelled by the opening of the popular Trolley Cafe about three years ago, located behind Bryce’s Arcade. Retail operators are encouraging Cairns residents to make the journey south to the retail hub tonight to see what’s on offer and expand awareness of the retail options in the town, with the intention of considering Gordonvale as a destination later on. 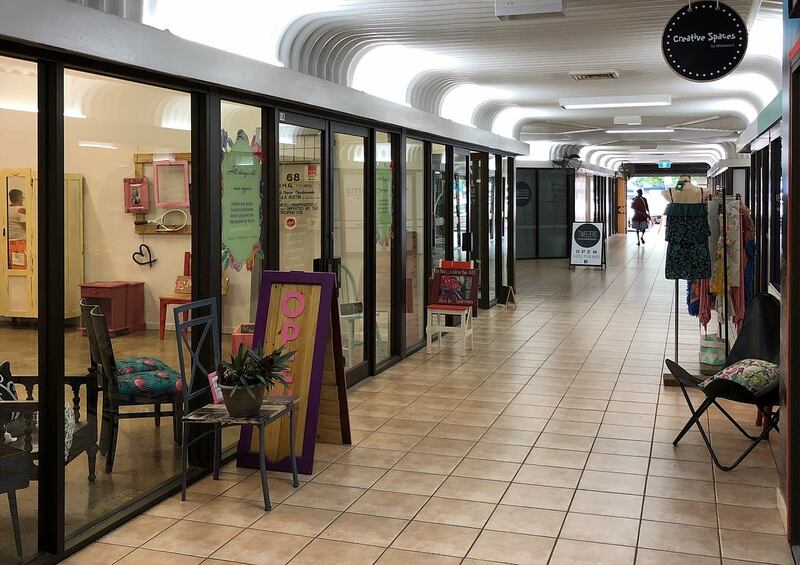 Gordonvale Chamber of Commerce President Susan Byrne-Callaghan said four new business had opened in the historic Bryce’s Arcade in the past month. Tonight’s ‘Sip and See’ event is a collaboration of shops and businesses promoting themselves collectively. An invitation is extended to all residents and friends to come down and see what’s on offer in the new landscape retail in the town, highlighting the revamped Bryce’s Arcade stores including upcycled furniture, home decor and bespoke fashion. The event runs from 5.30pm to 7.30pm tonight. Click here for further information on the Bryce's Arcade Facebook page.